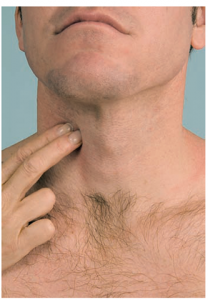 Carotid artery symptoms explains why carotid artery disease occurs. 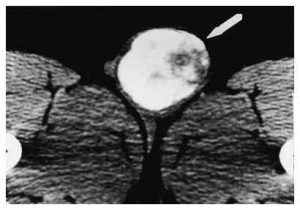 A family member has carotid artery disease. Recently he had to have two operations, one on each side of his neck. The operations had to be done a few months apart, with the worst affected artery being done first. 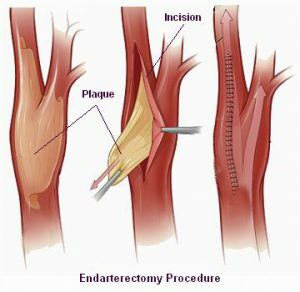 Sometimes called carotid artery stenosis, which means a narrowing of the carotid arteries, this disease can be quite incidious, creeping up on the unsuspecting patient until something serious happens. You are at serious risk of stroke if you have this disease, the thing is, it’s completely avoidable if you are aware of what causes it. These carotid arteries are just like others, including the ones which supply blood to the heart, known as the coronary arteries. Although we are more aware of blockages that can affect our heart or the vessels and arteries to and from the heart, blocked or narrowed carotid arteries can cause just as much damage, but this time to the brain. The carotid arteries are situated either side of the neck. They are two large blood vessels that carry oxygenated blood to the brain. Any obstruction which stems the flow of blood through these arteries can compromise the function of the frontal lobes. This part of the brain controls your personality, sensory and motor functions as well as thinking and speech. Some doctors will check your heartrate by gently pressing his fingers on the side of your neck to feel the pulse from your carotid artery. The term atherosclerosis means hardening of the arteries and applies to any artery or blood vessel that is stricken with a buildup of fatty substances. This decreases blood flow to the brain, heart or any other part of the body. Someone with carotid artery disease will already have atherosclerosis and therefore must be aware of the possibility of the coronary arteries also being compromised. When the blood is cut off or impaired and doesn’t reach the brain it can cause a stroke. If the blood flow to the brain ceases for a long period of time ie. many hours, then the damage caused is likely to be permanent. The quicker a stroke victim can be treated, the better the chances of a full recovery. 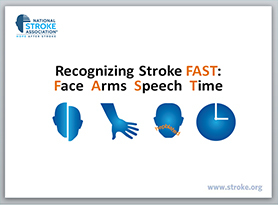 It’s a good idea to remember the word FAST which will help you recognise someone who is having a stroke. F = Is the victim’s Face dropped on one side. A = Can the victim lift their Arms. S = is the victim’s Speech slurred. T = if the victims exhibits all three then it’s Time to call for an ambulance. Your quick recognition of a stroke victim could save their life and give them the best chance of a full recovery. Smoking, excessive alcohol, junk food, sodas. c) low HDL ‘good’ cholesterol. As you can see, these symptoms are in the list for carotid artery disease. You are considered to have syndrome X, if you have at least three of these risk factors. Weakness/numbness on one side of the body affecting the face, arms and legs. One side of the face drooped. Vision impairment in one or both eyes. 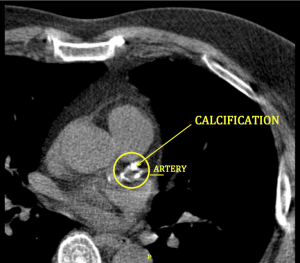 The problem with CAD is that if you have blocked carotid arteries, there’s a good chance that you have atherosclerosis in other arteries of your body. So the risks for carotid artery disease are the same as the risk for coronary heart disease and also peripheral artery disease. What does plaque consist of? Plaque is not just cholesterol, there are other fatty substances, cellular waste, calcium and fibrin, a clotting agent. The link is the balance between the two vital minerals of Mg and Ca. If Ca is allowed to run amok in the soft tissues and organs of the body, it will cause calcifications in places you’ve never even thought of. Ca without Mg is dangerous. If the balance is in equalibrium, these two minerals will do their job. 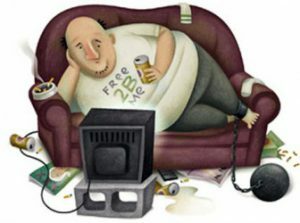 If Mg is depleted and Ca takes control, which is the more likely scenario with our modern diet, you will be unwell. Mg keeps Ca dissolved in the blood. If you take a good quality Mg supplement and add vitamin K2 (menaquinone7) this combination will actually usher Ca out of soft tissue and back to the bones where it belongs, so stiffness and calcification of the arteries and other parts of the body can be reduced. Now you know, do something about it! If you’ve read all of this article, you know what causes the most serious diseases to man and you know the simple solution to make sure you and your family do not slowly and incidiously succumb to one or more of these life threatening illnesses. A cheap and vital mineral known as Mg will protect you from carotid artery disease as well as coronary heart disease, atherosclerosis, diabetes, stroke and many other conditions. Without adequate Mg to balance Ca, you WILL get sick as you age, you will shorten your life and the life you have will be undermined. As we age, we start to slow down, we can’t walk as fast as we used to. We become stiffer and often need a walking aid like a cane to help us. Often our minds start to get slow and less sharp. Have you ever wondered why? Yes, old age will get us in the end but if you do give your body the nutrients it needs, you can stay sharp and supple throughout your golden years too. Remember this, Mg is the relaxing and calming mineral, Ca is the mineral of tension and stiffness. As we age our Mg levels drop and our Ca levels increase. It comes to a time when Ca takes over the body and all our cells slowly die. What kills them? Calcium. Did you know that it’s Ca that starts the process of rigor mortis! Am J Hypertens. 1993 Apr;6(4):123S-134S. Mol Aspects Med. 2003 Feb-Jun;24(1-3):137-46. Page 31 “The Magnesium Miracle” by Dr Carolyn Dean, M.D., N.D.
Where do you get a good K2 and MK 7. Please advise. This is not something I had even thought of. My family has a big history of heart disease but my siblings and I are guilty of not thinking any further then our hearts when in reality we should be. 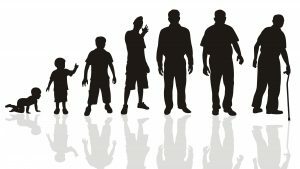 Now that we all have families of our own its even more important that we make some changes immediately we don’t find ourselves in the disaster zone later in life. Thanks for this information. This is totally an eye opener to me! I’ve always known that fats and fried food will jacked up cholesterol levels and create high blood pressure and blocked arteries due to plaque formation. But I’ve never known that magnesium defect plus calcium abundance can also increase likelihood of plaque. May I know what’s the typical foods that contain calcium we must avoid and what foods rich in magnesium we have to consume? Hi Isaac and thanks for the comments. So many know nothing about this disease until they are stricken with it. The RDA of Ca in most countries is much too high. 700mg of Ca per day is ample and can be obtained through a normal diet, even if you don’t consume much dairy. Ca is in so many foods, in fact it is often found in the same foods that Mg is in. Trouble is Ca is much more abundant now. Mg on the other hand, has been depleted in our soils through Big Agra practices. No Mg in soil = no Mg in food grown in that soil. Ca is also in many antacids such as ‘Tums’, these should be avoided like the plague. A daysworth of tums will give you 3000mg of Ca Carbonate (chalk) for example. Many of our foods are also fortified with Ca, like some orange juices and cereals. This is serious diseases to every mankind nowadays. The tech savvy of todays’s world undeniably one of best decades in human races history. But for every progress, there will be every “setback” along the way. Most often than not, the “setback” coming from mankind greediness. This is the topic regarding overall health issues that caught my attention recently. Slowly and incidiously succumb to one or more of these life threatening illnesses but as you mentioned about a cheap and vital mineral known as Mg that offer protection from carotid artery disease among others. Can you give me direct suggestion of the Mg related products or through natural foods intake, which one we should take in our daily diets? Hi there and thanks for your input. As for your question, please look at Best Magnesium Supplements and also Foods With High Magnesium. One of the biggest problems with Magnesium (Mg) is it is often overtaken by Calcium (Ca). If Ca is consumed in large quantities as is the case for most us in the modern age, Mg becomes ineffective. Mg is necessary at the cellular level and is vital to produce the body’s energy by way of ATP (adenosine Triphosphate). Without it, the body cannot produce energy and that’s why one of the most common symptoms of a Mg deficiency is fatigue. With a deficiency of Mg and an abundance of Ca, Ca is allowed into the cell but not properly ushered out. This allows Ca to over excite the cell and kill it. Mg is the ‘gatekeeper’ to these cells, regulating the amount of Ca that is allowed into the cell and then ushering it back out when Ca’s job is done. If you keep your Ca and Mg levels at a ratio of 1:1 that is ideal. This is very difficult to achieve because our soils have been depleted of many nutrients and Mg has been badly hit by the practices of Big Agra. No Mg in the soil, means no Mg in the food grown in that soil. I never new about the Arteries in the neck that will fill with plague, call me silly but it is a shock to find this out. I have just started taking Magnesium tablets, i read another article of yours and bought the tablets. In your opinion if you are in middle age, is it possible that if you have a build up of plague, with the help of Magnesium and a life style change you could reverse what is in your arteries ? I do think more of this condition should be made public as i think people are unaware of this condition as was i. It makes sense as to why there are so many strokes these days. Hi there Gareth and thanks for your comments and input. You’re not silly, the majority of the population don’t realize that the arteries in the neck are vulnerable to plaque as are all our arteries. As for the build up of plaque, there has been some recent research regarding a little known vitamin known as K2 (menaquinone 7) that has been shown by studies on humans to actually reduce plaque by switching on an enzyme that moves calcium back to the bones. This vitamin activates osteocalcin and matrix Gla-protein (MGP) which are very important enzymes that aid calcium out of the vascular system and ushers it into the bones where it belongs. Have a look at this article Vitamin K2 benefits to get the lowdown on this amazing research. It is a crying shame that the population is kept in the dark about natural nutrients that are absolutely vital to protect us from disease. If we all knew about these various vital vitamins and minerals, we would be able to control our own health in partnership with our doctors. As it stands, all doctors seem to be able to do is prescribe a drug, further burdening the sick body and often causing life threatening side effects. Drugs should be our last resort not standard practice.